Figure 46. 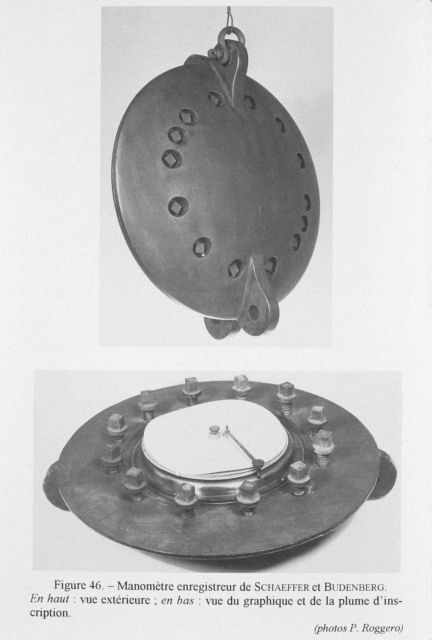 Shaeffer and Budenberg recording manometer, designed and built by the firm of Schaeffer and Budenberg. This was based on an instrument designed for use by a German expedition to Antarctica. This device was able to work to 1200 meters and was first tested by Doctor Brennecke on the German ship PLANET in the Indian Ocean in 1906.